Busboys and Poets-Anacostia, just a block from the We Act Radio station where Charnice Milton Community Bookstore began, is now hosting a small collection of books picked by CMCB staff. After a soft opening in early March, CMCB at BBP-Anacostia continues to add titles, and the shelves are filling. 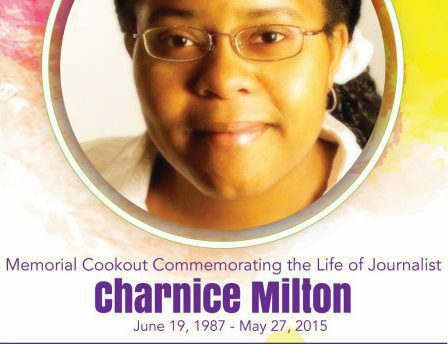 The used book section is scheduled to open on May 27, honoring the fourth death anniversary of Charnice A. Milton (6/19/87– 5/27/15), East of the River journalist shot to death on her way home from assignment. One of the first new books recommended by our staff is this powerful young adult novel, Monday is Not Coming. Author Tiffany D. Jackson spends half her year in New York and half in DC. She portrays the lives of young people in a fictionalized Barry Farm with beauty and honesty. Stay tuned for more news of the used book opening and for additional events centered around getting free books into the hands of young readers, particularly those east of the river.